No freaking way. 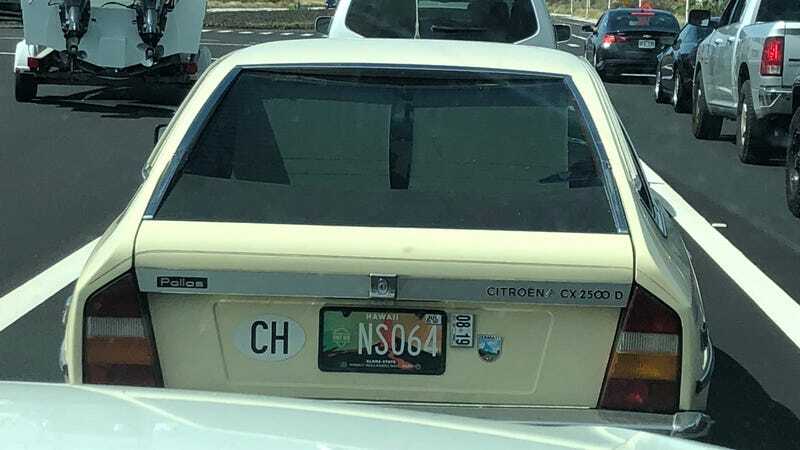 A Citroen. That’s a bird rarely seen. But a rare bird of paradise?! Holy shnarkies!!! The Citroen, to me, has a similar yet more socialist tone, akin to owning an Alfa. Every die hard auto enthusiast must own an Alfa, and you must own something French - extra points for a Citroen. Like everything French, it smoked pulling away from the light. I was unable to get a good picture of any other angle. The brief sight of the front I got, it looked late model for the run. Anyone else know more about these?! It’s either a former diplomats car, grey market, or a 25 year import... but we will never know!